We all know that being a parent is one of the most beautiful, yet most challenging jobs in the world, but let's imagine for a moment how it would be like having between 10 and 20 children around you all day. Well, that's what a teacher is supposed to do. In our opinion, teachers are similar to super-heroes, as they need to have iron patience, vast knowledge in different educational domains and distributive attention (as they have to keep their eyes on all kids equally and at the same time). Not all children are the same, even though they're in the same classroom, and this is the aspect that makes this job so difficult and challenging. Some children may be extroverts, may like standing out during classes through asking tons of questions and may be able to make friends a lot easier due to their affinity and socialization skills. On the other hand, there are other children that may be more introverts and helping them integrate within the classroom is a much more difficult task than you imagined. You have to come up with the best strategy to determine each child to get equally involved in classroom activities and to bring out their best. This article may help you a bit on choosing the right strategy to make introverts and extroverts work together in the classroom. Teaching extroverts is a lot easier than teaching introverts, or this is what many teachers said when we asked them about this aspect. With extroverts it's a lot easier to communicate, because they don't feel the fear of saying something wrong and they actually love being in the middle of the crowd. On the other hand, introverts feel a lot safer when they're put to work individually and at their own pace. One very good strategy teachers can apply in order to make introverts and extroverts work together is the 'think-pair-share' strategy. This implies that the teacher asks the class a question and then each student will have to turn to their partner and provide them the answers. This is a great exercise because it doesn't involve speaking in front of the class, something that would be very difficult for an introvert. You can ask an even number of questions, so that each student gets an equal number of answers to give to their partners. Inspire them to read books, or read them something while they're in class and then ask question based on that book. There's an amazing book entitled "Quiet: The Power of Introverts in a World That Can't Stop Talking" and it's written by Susan Cain. This book exposes the diverse premises and situations that introverted students are way far undervalued in a world full of extroverts. Even though most classrooms today are designed in a way that pleases the extroverted child more, this shouldn't give some teachers an excuse for not getting introverts involved more in the classroom. One aspect that defines an ideal teacher is their ability to balance the time they allocate for each activity. There are activities that need the implication of larger groups (perhaps all the students in the classroom), activities that imply smaller groups and activities that can be done individually. This is a great strategy that will please both the introverts (especially with those individual activities) and the extroverts (especially with those large-group activities). Many studies have shown that introverted and extroverted students process information in different ways and have different ways of performing in the classroom. 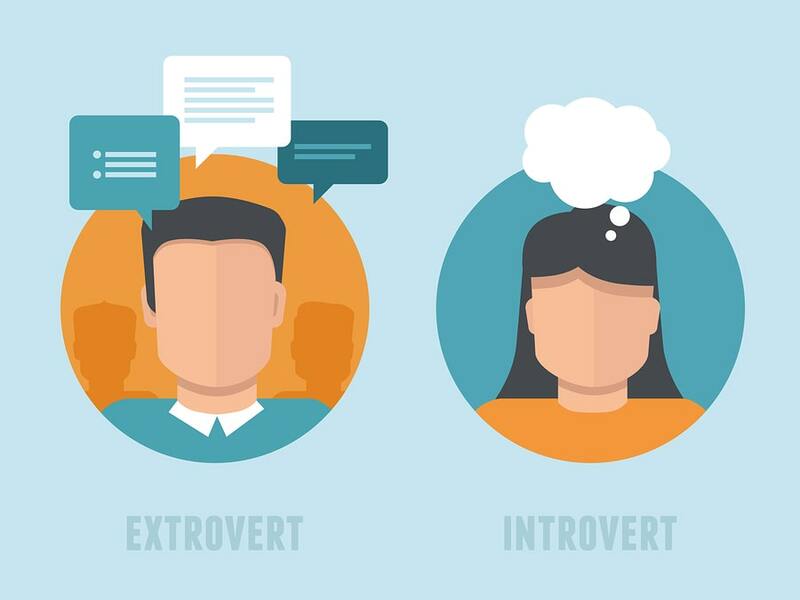 A highly appreciated Dr. Tami Isaacs once said that extroverts make use of their short-term memory in order to process information, while introverts resort to long-term memory as this allows them to make deeper connections. As he wrote, "In a lively classroom the extrovert appears excited by the discussion and eager to participate, while the introvert may seem unenthusiastic and unsociable. These perceptions are not presenting a complete picture of our students. The introvert is so busy reflecting on the ideas that it does not occur to him to volunteer to answer questions." Finding the perfect balance may be quite difficult, but at least you know now that it's important to adjust your teaching methods on each child individually as much as you can. If we want introverts and extroverts to be working together and have the same level of implication in classroom activities, we need to pay attention to another essential aspect - where our students are sitting in the classroom. It's not a good idea to place introverts in the back and bring extroverts in the first rows. However, it may not be a good solution to have students sitting on the same chair on the same spot all year long. You can try and have them exchange seats every once in a few weeks for instance. In order to avoid uncomfortable situations though, it is advisable you ask your students about this first. If the previous strategy doesn't work as good as you might have expected, there's no need to despair. You can resort to other ways to make your students know each other simply by encouraging them to get more involved in the classroom. And one great way to do so is by designing rotations in order that each student is an important part of the classroom. For this, you can assign a student for instance to prepare a series of questions at home and to use them as material during the next class discussion. This can help introverts gain some self-esteem and feel more important in the classroom, while extroverts will feel highly appreciated and will definitely love having all their colleagues' attention drawn towards them. Being a teacher is a challenging job, especially if you have to deal with introverted and extroverted students. Sometimes you'll find the perfect equilibrium and have each student get involved in classroom activities in an even way, but sometimes none of the solutions you apply will also work. You can't please everyone and make things work perfectly, but at least you can do your best to make the classroom a more pleasant environment for all your students. There are many places on the Internet where you can find information and seek for advice on how to cope with introverted students and one very good example is this TED talk by Susan Cain. Feel free to experience with these strategies mentioned above and let us know how they worked on your classroom and what other teaching strategies do you apply? BIO: Lori Wade is a content writer for eliteessaywriters.com who is interested in a wide range of spheres from education and online marketing to entrepreneurship. She is also an aspiring tutor striving to bring education to another level like we all do. If you are interested in writing, you can find her on Twitter or Google+ or find her on other social media. Read and take over Lori's useful insights!